Performing in the Piano Bar in the afternoon, Peter Vallee, an award-winning Vegas institution as an Elvis impersonator, sings all the popular hits and takes requests from the audience as well. This show runs for several hours so be sure to stop in for a listen. 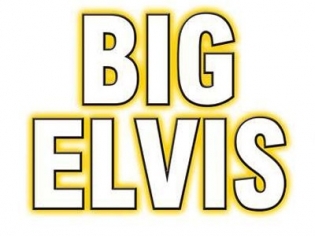 This free show is perfect for Elvis fans. The Piano Bar is just off the Carnaval Court, which makes it a great place to stop for some refreshment and entertainment. Performing not just Elvis, but also other hits from six decades, Peter Vallee interacts with the audience and brings them to tears during some of the heart-rending ballads. I wasn’t sure what to expect, but this guy really got the crowd going! I’m not really a big fan of Harrah’s small piano bar, but I got over that. This guy was fantastic. He sounded just like Elvis. I felt like I was back in time with the real deal. The show got the audience involved and it was a super fun time. The venue isn’t anything to brag about, but I would suggest seeing this show if you like Elvis.